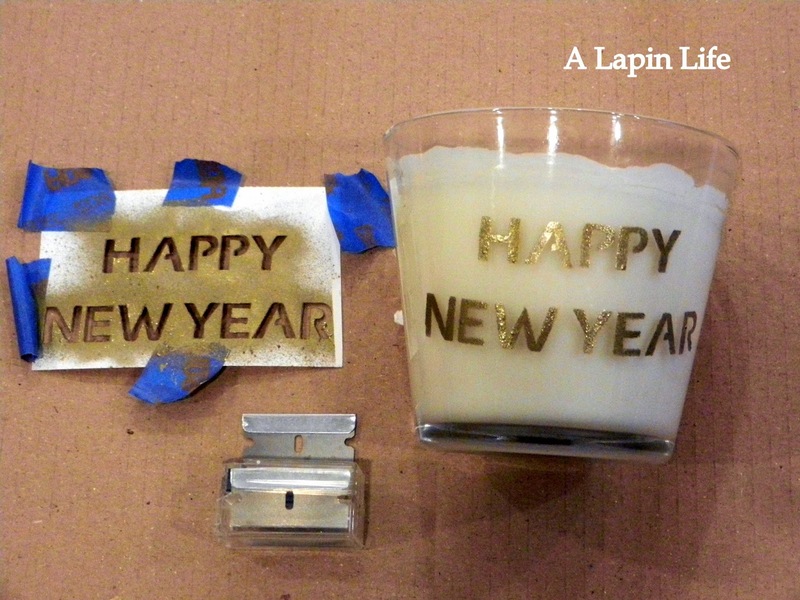 In five minutes you can create beautiful "one of a kind" glass candles. 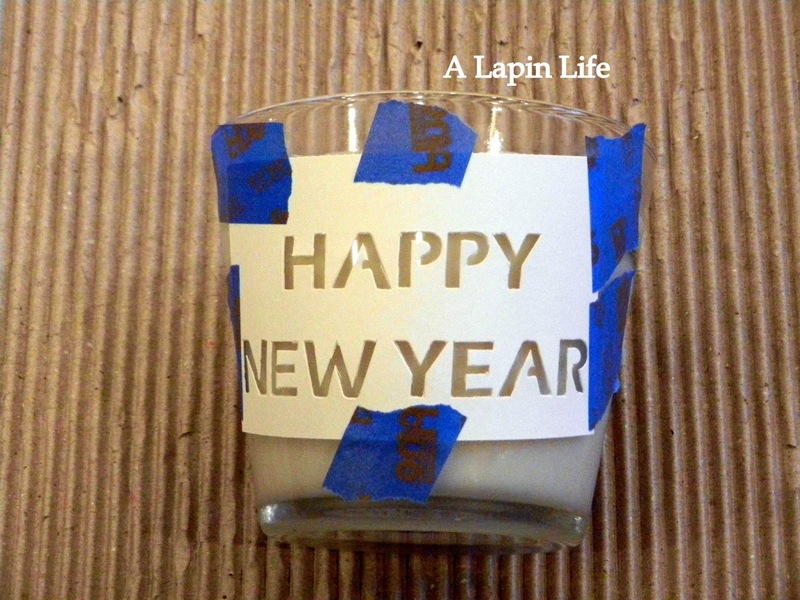 For this project you will need a glass candle. You can pick up inexpensive glass candles from IKEA in the candle section or by the checkout lines. A stencil of your choice or make your own. Permanent markers - (Pilot) gold metallic ink marker is what I used. Ink Spritzer – Amazon sells them (I also have a link for them on my sidebar). Tape and a razor blade for removing any touch ups around the stencil. It’s a good idea to clean the glass with either vinegar or rubbing alcohol to make sure there are no oils or dirt on the glass. Shake your permanent marker a few times to get the ink flowing, make sure the cap is on. You want to make sure the ink is at the tip. Use a piece of scrap paper and touch the tip to the paper, the ink should flow immediately. 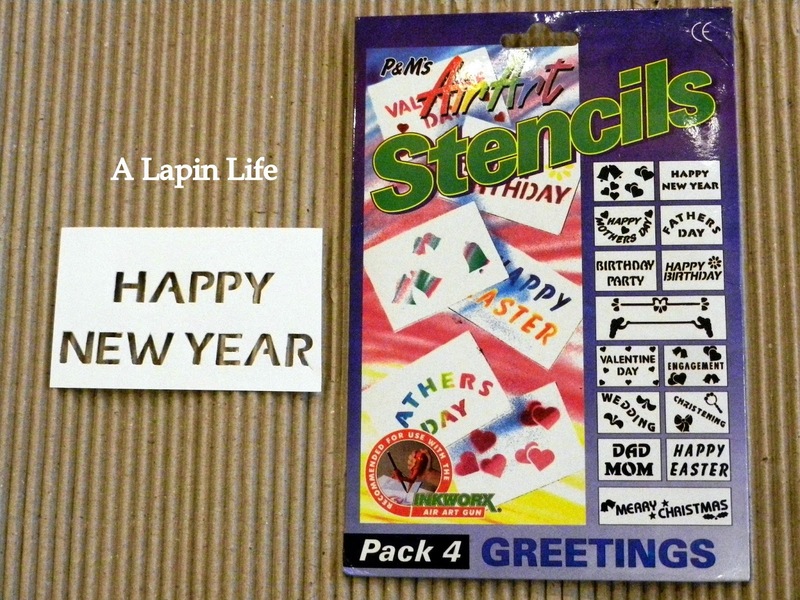 Now you can use your metallic ink marker and trace around your stencil and fill it in OR you can use an ink spritzer. 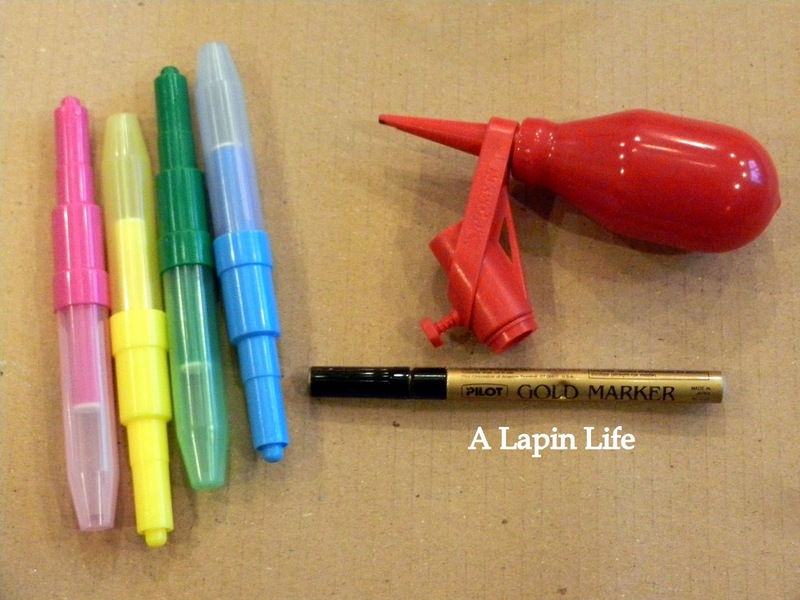 An ink spritzer turns your marker into an amazing airbrush. I used the airbrush ink spritzer with my stencil and achieved beautiful results. First decide where to place your stencil. 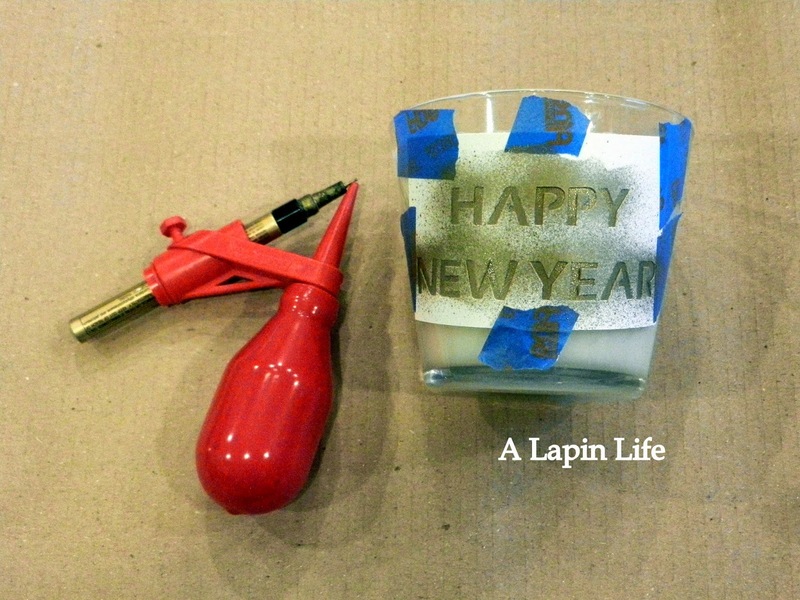 Now tape your stencil to the glass and tape all the areas you don’t want the airbrush spray of your marker to go. 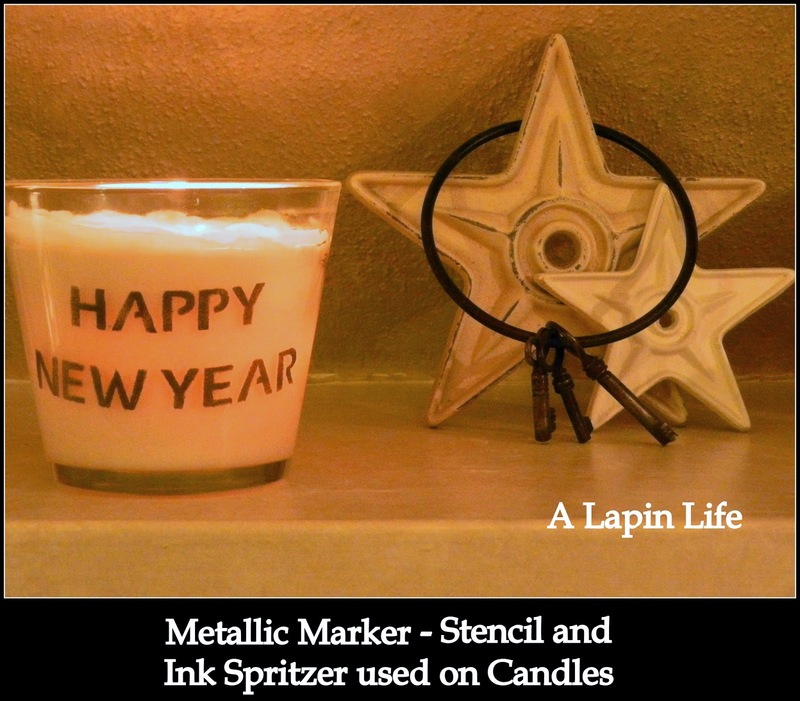 The ink spritzer makes a fine mist and it covers very quickly in your stencil. Let the stencil dry for a minute or two. Peel off the tape and admire your work. If you have any over-sprays from the ink spritzer use a razor blade to clean it up. 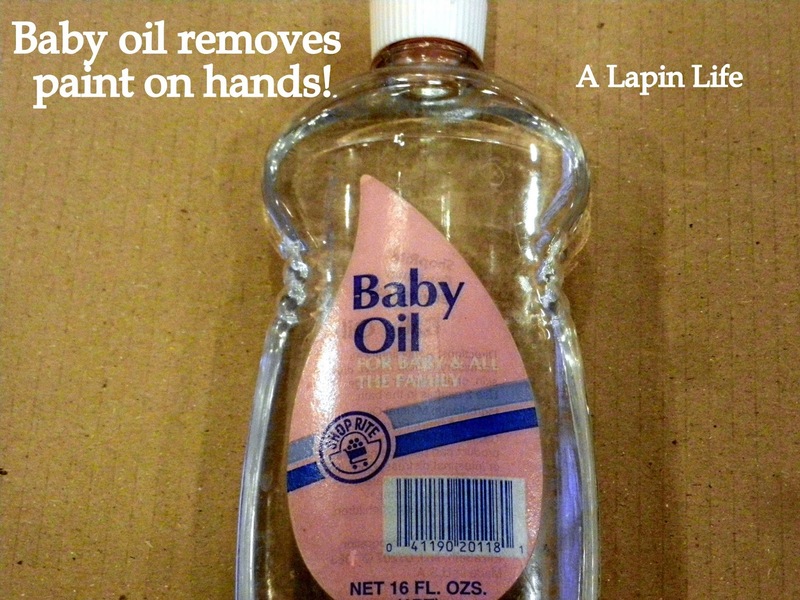 Baby oil is a great way to get ink or paint off your hands in case of over spray. 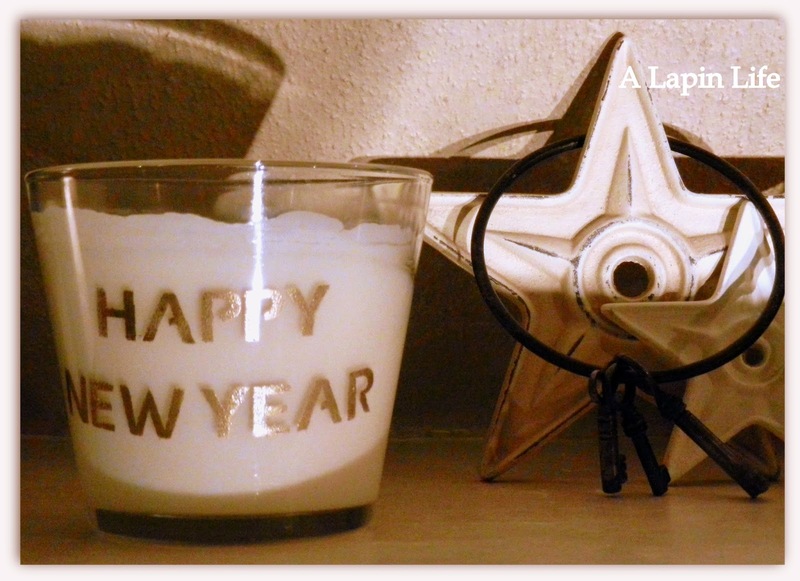 The glass candles look professional done and they would make great gifts or table decorations. I could see them selling very well at craft shows. I love using the ink spritzer on many kinds of projects. 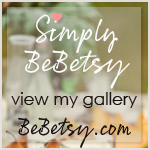 It works beautiful on handmade cards and gift tags. We even used the ink spritzer on brown and white butcher paper and made one of a kind wrapping paper. I enjoy working with stencils, as there are so many different ones on the market today! You can even make your own. Stencils are a super way to transform and decorate your home for the holidays or any time of year. It’s So EASY Creating Airbrush Art Using the Ink Spritzers. It can be very addicting at times! I purchased the ink spritzer with the blow pens and now see they sell the ink spritzer separately. Who needs blow pens when almost any markers will work with your ink spritzer. ‘ink spritzer’ on my sidebar.